Further building out the OpenCPM set of tools, we release version 0.3 of the Concentration Library. This python library for the computation of various concentration, diversification and inequality indices. 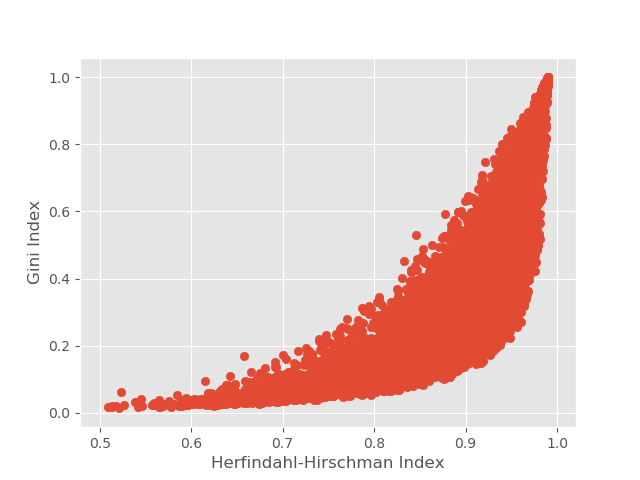 The image illustrates a simple use of the library where the HHI and Gini indexes are computed and compared for a range of randomly generated portfolio exposures.